In "Integrity", Dr. 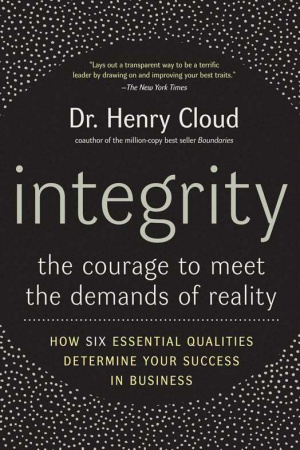 Cloud explores the six qualities of character that define integrity. He uses stories from well-known business leaders like Michael Dell and sports figures like Tiger Woods to illustrate each of these qualities. He shows us how people with integrity: are able to connect with others and build trust; are oriented toward reality; finish well; embrace the negative; are oriented toward increase; have an understanding of the transcendent; and, success is not related to only talent or brains. There are a lot of bright, talented people who are never successful. And the most successful are not only the ones with the most talent. The real factor, Cloud demonstrates, is the makeup of the person. All of us can grow in the kinds of real character that bring about fruitful relationships and achievement of purpose, mission, and goals. Integrity is not something that you either have or don't, but instead is an exciting growth path that all of us can engage in and enjoy. 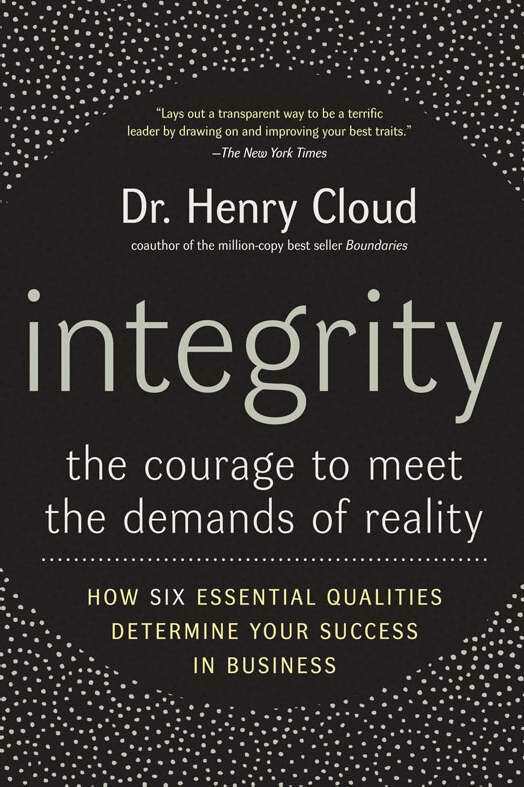 Integrity by Henry Cloud was published by HarperCollins in February 2007 and is our 29271st best seller. The ISBN for Integrity is 9780060849696. Be the first to review Integrity! Got a question? No problem! Just click here to ask us about Integrity.